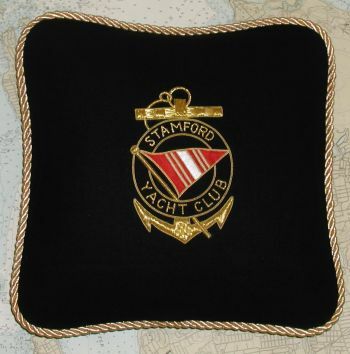 Yacht Club Uniforms, Commodore Uniforms, Captain's Uniforms, Epaulets, Flags. 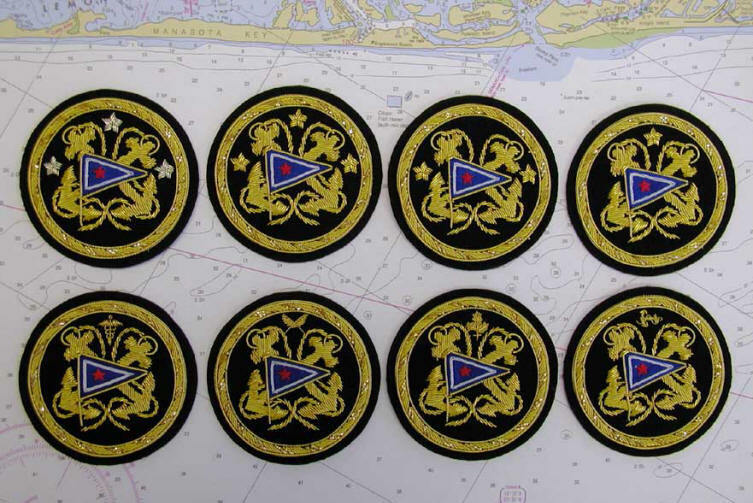 Hand embroidered bullion on patches with or without clutch back pins. Crossed fouled anchors with burgee in center. All officer ranks can be added to these pillows at no additional charge. Pillows measure 14X14 inches. 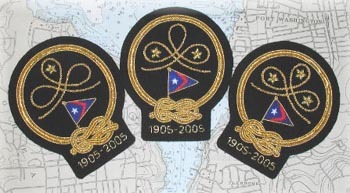 Please call with any questions about yacht club uniforms, commodore uniforms, captain's uniforms, captain's gear, epaulets, captain's epaulets, yacht club epaulets, captain insignia, commodore insignia, yachting hats, captain's hats, hat devices, officer jackets, commodore jackets, mess jackets, blazer patches, burgees. Custom embroidery is done on premises and we can outfit your crew uniforms.